Currently an adjunct college professor at SUNY Empire State College , Linda Griggs is the founder, host, and coordinator of Palace Poetry Group, which is in its tenth year of existence. She has been a mentor at Empire State College; a mental health counselor; and a transition supporter for Vietnamese “boat people” and refugees from war in Ethiopia and Somalia, using arts and crafts and, sometimes, poetry. With her husband, she is a backyard gardener, making the earth productive and healthy. Griggs self-published the chapbook Love Poems of the Universe (2003), wrote and illustrated The Night of the Starfish People (Willet Press, 2011), and is the author of the chapbook The Balance of Love (Willet Press, 2012). 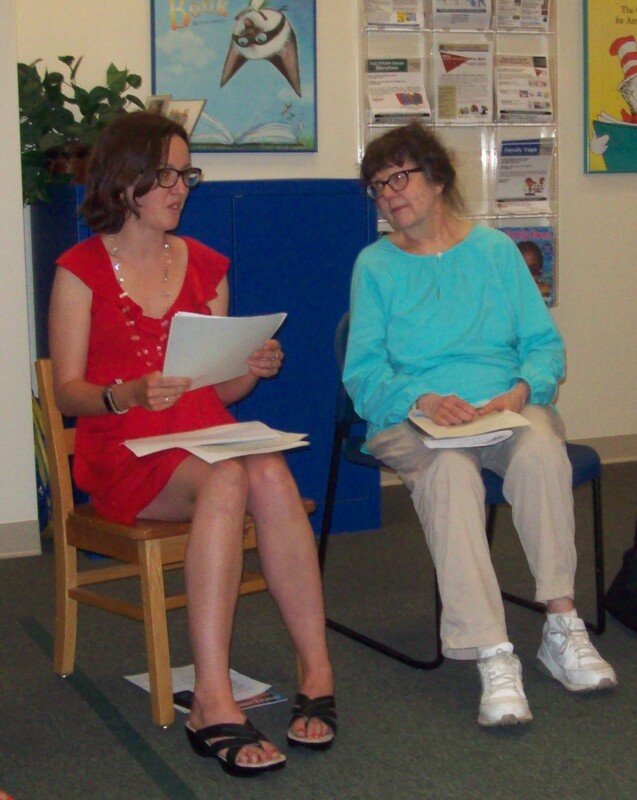 Palace Poetry Group is free and open to the public at DeWitt Community Library  in DeWitt, New York. Our group started in 2007 and has a monthly poetry reading with a different featured reader every month and an open mic. The goal of this poetry group is to help poets find their poetic voices and, in that process, encourage each other. Once a year, we have an additional special reader and a workshop for poets. I found it was important to be sensitive to the poetic needs of group members and to find featured readers who could challenge those needs. Thanks to Poets & Writers’ grants, we are constantly inspired by excellent poets who expand members’ world views and expose them to different ways of poetic expression. Three poets who received P&W grants in 2016 were Joseph Bruchac , Michael Czarnecki,  and Barbara Crooker . All have different ways of expressing poetry while clearly illustrating their views on the world. Joseph and Michael are master storytellers. Joseph told his stories and read his free verse poems about nature, justice, spirituality, and Native American culture, describing how these themes relate to the good of all of us. Michael used free verse as well as the poetic expressions of haiku and haibun, a Japanese literary form combing condensed prose and haiku, to express experiences he’s had traveling throughout the United States—recording his feelings and his approach to looking at nature and life. Barbara Crooker read her free verse poems choosing ordinary experiences and perceptions of nature to express caring, compassion, and joy in life. Each featured reader expressed interest in audience members listening to them, using anecdotes and humor to express their ideas. For example, Joseph Bruchac used humor and stories to lead audience members to an understanding of Abenaki culture and beliefs. He listened carefully to each poet in the open mic—including a poet who read in Spanish, a language he is fluent in—and said something positive about each of the poems. Palace Poetry Group members were able to look anew at the way they wrote and fine-tune their own poetry, thus developing their poetic voices, the goal of our group. Photos: (top, left to right) Lindsey Bellosa, Linda Griggs. Photo credit: Martin Willitts. (middle) Palace Poetry Group tenth anniversary cake. Photo credit: Martin Willitts. 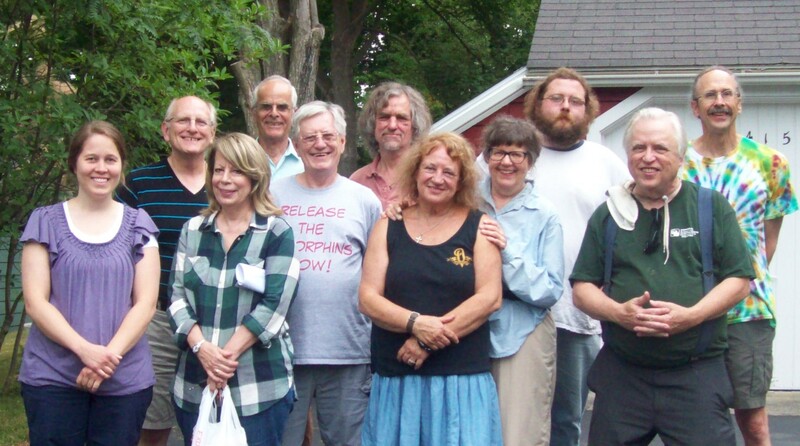 (bottom, front row, left to right) Jane Schmid, Donna M. Davis, Paul R. Davis, Eileen Rose, Linda Griggs, Martin Willitts. (back row, left to right) Michael Cheslik, David Harper, David Forrest Hitchcock, Paul Shephard, Stephen Brace. Photo credit: Sue Harper. Support for the Readings & Workshops Program in New York is provided, in part, by public funds from the New York State Council on the Arts , with additional support from the Friends of Poets & Writers .